The fact of gender inequalities at work is broadly known. In some places more than others and in certain ages more than others, the working conditions of women were, in general, poorer or much more poorer than men conditions. And it remains like this today. Even in the thriving Europe, where women is at a disadvantage in comparison with their male colleagues in any aspect of work: in terms of salary, professional category and recognition, performed responsibilities and delegated authority, working time or promotion opportunities. Thus, these gender inequalities bring even more serious consequences: women suffer more discrimination, harassment and violence, are increasingly exposed to psychosocial risks, stress and musculoskeletal disorders. Two weeks ago, I attended the International Conference “Women´s health and work” in Brussels, organized by the European Trade Union Institute, ETUI). Expert speakers talked about these issues, as well as other topics related to women and work. But among all the huge amount of information offered, three specific figures about gender inequality attracted strongly my attention. In some cases for the clarity with which a graph may show an overwhelming fact (quantity) and, in another cases, because these figures describe some values of the society (in terms of quality). FAGAN, Colette. 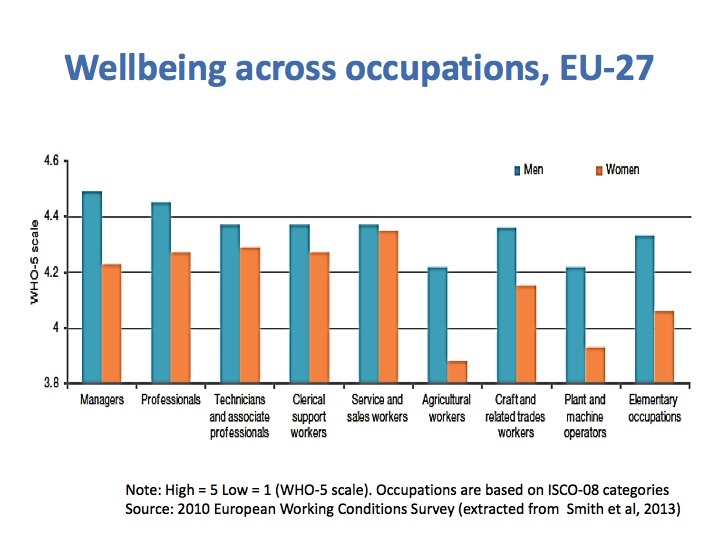 Presentation: Gender, working conditions and health – headlines from the European Working Conditions Survey. ETUI International Conference “Women´s health and work”. 4-6 March 2015. Brussels. 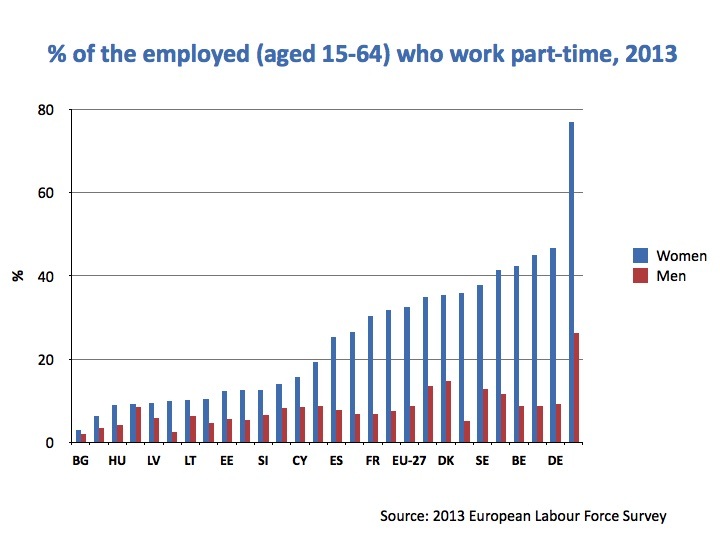 The graph at the right shows the percentage of the employed people aged 15-64, who work at part time. The data are arranged by Member States of the European Union. Men, in red. Women, in blue. The results are self-explaining. 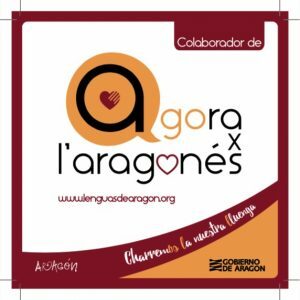 The only -more or less- objective reason to such gap may be that part-time contracts improve the compatibility between work and the duties that, by the laws of nature, women must carry out, such as breastfeeding, pregnancy,… But even taking this aspect into account, is such imbalance reasonable? Not at all, in my opinion. The part-time contract, apart from -supposedly- helping women in specific periods, brings also as a consequence that the role of “mother” is extended, becoming also the housewife, the children and disabled carer, the president of the neighbourhood association or, going to an extreme case, the cleaner if the village´s church together with another women working in shifts. All this has little to do with the unavoidable laws of nature. Besides, those two graphs also show a sign regarding another proved fact: the wrong conceptualisation of part-time contracts. 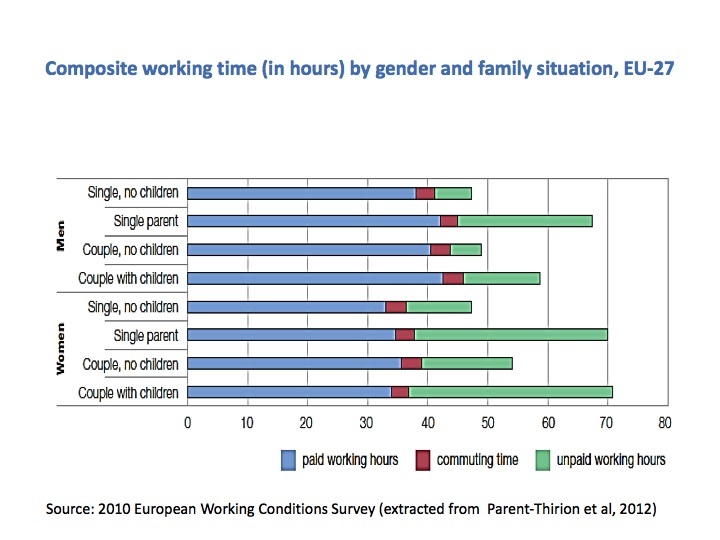 If you pay attention to both charts, the lower amount of paid working hours by women compared to men paid working hours (second graph, blue bars) isn´t proportional to the data shown in the first graph. That is, part-time contracts are often extended for several hours, becoming an informal work. It may be more polite to say “you will be treated in the same way” and even I thought to write it. But after reading all the facts, it´d be a little cynical to write thinks like “treated in the same way”. This graph shows the presence of psychological harassment according to the academic level and gender. As you can see, when it comes to men, the percentage of harassment decreases as the educational level increases. Of course, the academic level is not a reason to harass any person. This is another matter. But the fact is that, while in the case of men the educational grade is a factor influencing the harassment suffered, this doesn´t happens when it comes to women. Furthermore, women with university grades may suffer even more harassment than women with primary education. That is, while men are more respected as the educational level increases, this doesn´t happens in the case of women. And this also occurs when it comes to professional category and status within the organization. In this context, the data in the following two graphs are not surprising at all. 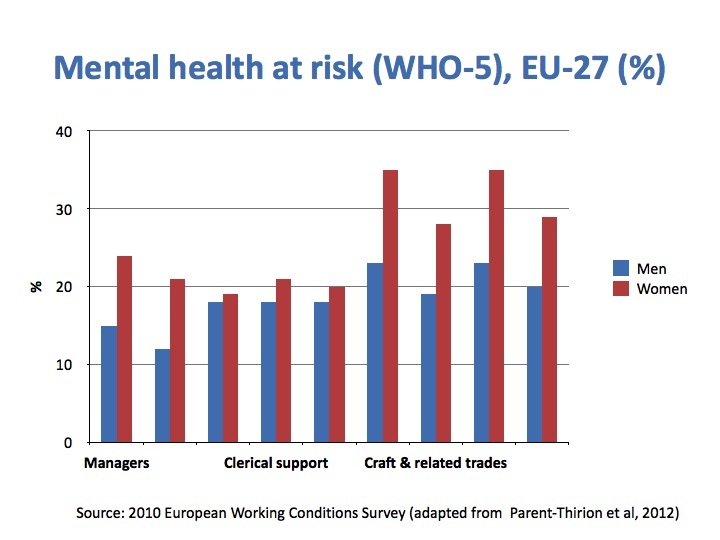 The first graph shows the percentage of mental health at risk according to the profession. Men, in blue bars. Women, in red. The difference is, again, significant. The final result is that women have more health problems and poorer wellbeing scores than men, whatever the activity performed. This shows also a fact which not only brings into question the values of public and private organizations in relation to the workers´gender. That labor conditions of women also show the poor performance and lack of professionalism of the human resources and safety and health duties, ignoring for decades a whole group of workers: women. In this context, it is not strange that gender equality is becoming a key issue, almost an obsession, for any organization, namely the European bodies, put under pressure by a population pyramid absolutely unsustainable with the current labor and social policies. But this also is another matter. 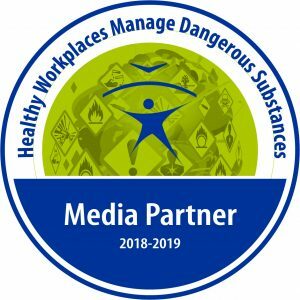 EUROPEAN AGENCY FOR SAFETY AND HEALTH AT WORK. 2014. New risks and trends in the safety and health of women at work. https://osha.europa.eu/en/publications/reports/summary-new-risks-trends-osh-women. Pag 8. Consulted 19 Mar 2015. EUROPEAN AGENCY FOR SAFETY AND HEALTH AT WORK. 2014. New risks and trends in the safety and health of women at work. https://osha.europa.eu/en/publications/reports/summary-new-risks-trends-osh-women. Consulted 19 Mar 2015. Well said! Gender bias is prevalent no matter where a woman works, even if the boss is a woman. These bias are deeply rooted wirhin our social and religious structures in how men and women are socialized into their roles.